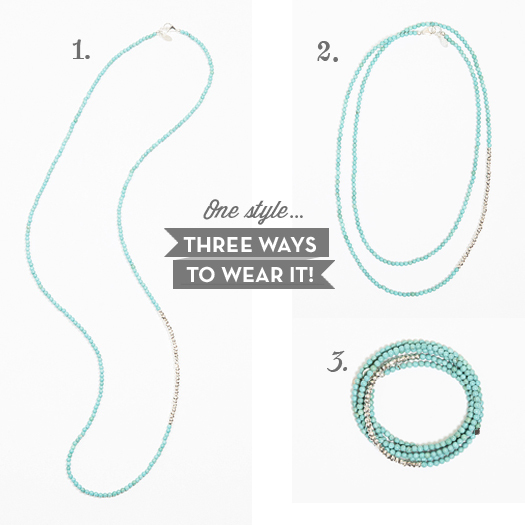 1 Style… 3 Ways To Wear It! 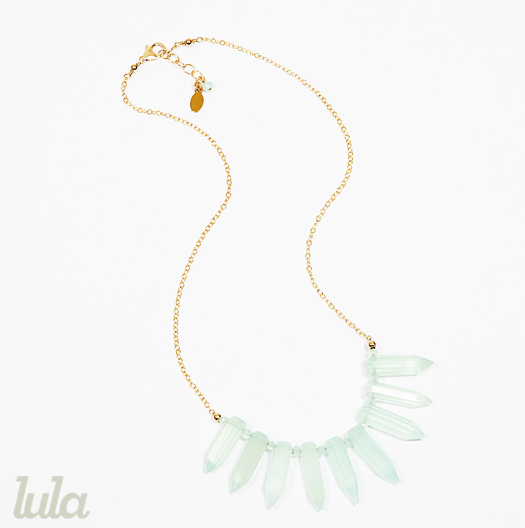 Our new long rondelles necklace is the perfect accessory for spring/summer! 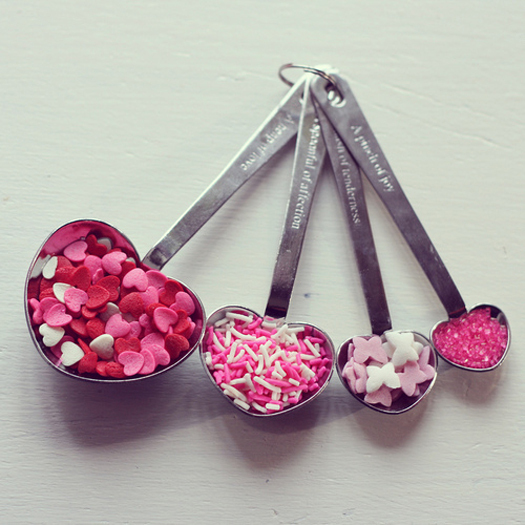 At 34in it can be worn long, double as a short necklace, or wrapped 5 times as a bracelet. 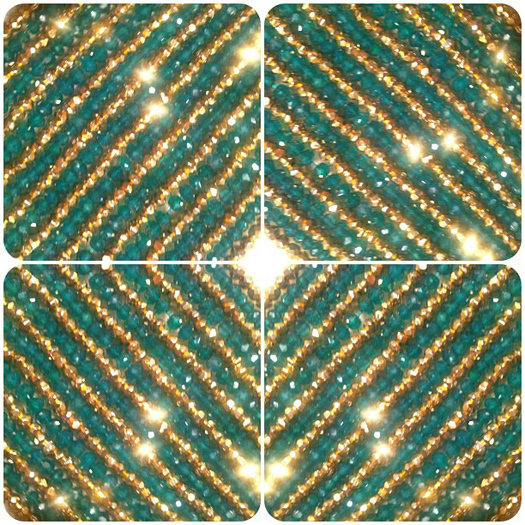 It comes in some great stone colors like turquoise, pink coral, green onyx, black garnet, and labradorite! Look for it at stores including Barbara and Co, Gracie’s, Adornments, and Two Sole Sisters in Colorado. We’re wearing the perfect color combo today of green onyx and gold pyrite! 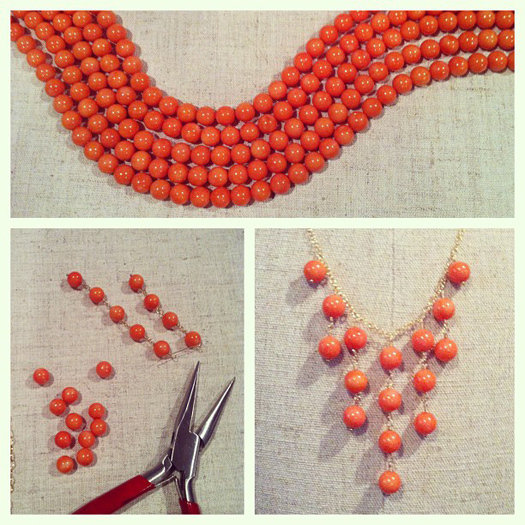 We love our new coral stones for spring and thought we’d share a new style with you too! Follow us on Instagram and Twitter to get a sneak peak of what we’re up to on a daily basis! If you’re in the Chicago area, check out our new spring line at Hazel, 1902 W. Montrose, Chicago, IL, 60613. 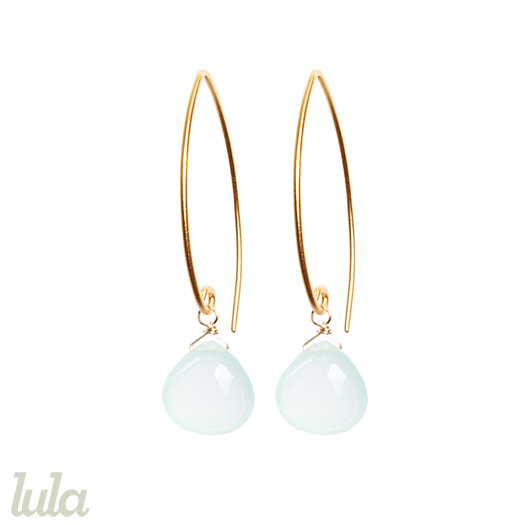 They have some great pieces for spring including these aqua chalcedony styles! Visit our facebook page to see more styles and prices!